The WRE prize giving ceremony will be done tomorrow (12/02) at 2:00pm. Attention. The coordinates in the bulletin are in the DMS format. The Hard Floor of Portel opens today (09/02) at 8pm. Due to the large number of entries (142, a record in Portugal), the start of the PreO event had to be antecipated to noon (12:00) and the competitors had to be separated into two series. 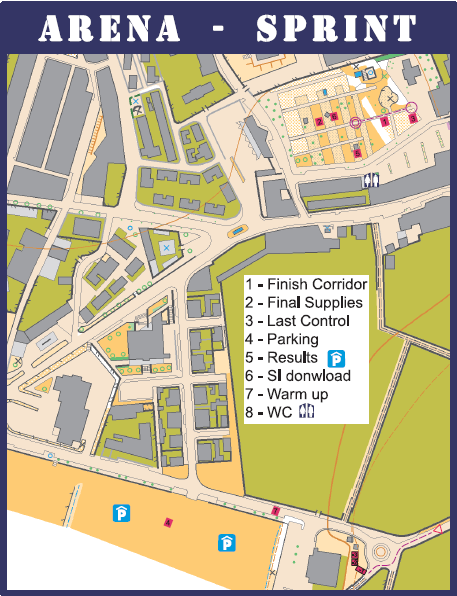 We have just published the calling times for the competitors to start their 3 timed controls. A formal course with 20 untimed controls will follow. The first competitors to be called, either do not participate in the (long) pedestrian course, or are the first ones to start in their respective categories. Anyway, if someone does not meet the calling time, he/she will be called later, but never before 8min after the eventual call of a member of the same club. 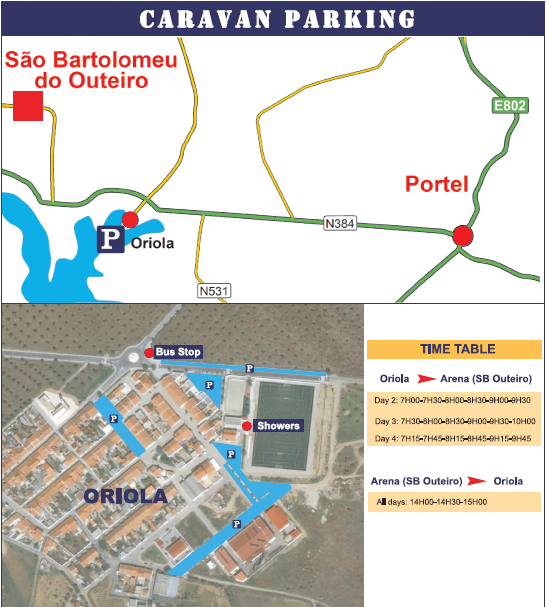 We recall that the site for the timed controls is located 1200 meters from the event center.